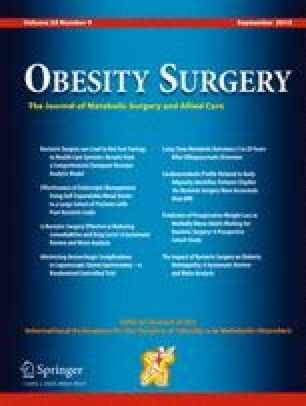 Regular aftercare attendance following laparoscopic adjustable gastric banding (LAGB) is associated with greater weight loss and fewer post-surgical complications. Despite high reported rates of attrition from LAGB aftercare, the reasons for non-attendance have not been previously explored. The present study aimed to explore patient-reported barriers to LAGB aftercare attendance, and the perceived helpfulness of potential attrition-reducing strategies, in both regular attendees and non-attendees of aftercare. One hundred and seventy-nine participants (107 regular attendees and 72 non-attendees) completed a semi-structured questionnaire, assessing barriers to attrition (101 items) and usefulness of attrition prevention strategies (14 items). Findings indicate that both regular attendees and non-attendees experience multiple barriers to aftercare attendance. Non-attendees generally reported that barriers had a greater impact on their aftercare attendance. There was evidence for some level of acceptability for attrition-reducing strategies suggesting that LAGB patients may be receptive to such strategies. Current findings highlight the importance of assessing barriers to treatment in both attendees and non-attendees. It is proposed that addressing barriers that differentiate non-attendees from attendees may be most effective in reducing attrition from aftercare. The Centre for Obesity Research and Education (CORE) receives a grant from Allergan for research support. The grant is not tied to any specified research projects, and Allergan has no control of the protocol, analysis and reporting of any studies. CORE also receives a grant from Applied Medical towards the educational programmes. Dr Paul O’Brien reported having written a patient information book entitled The LAP-BAND Solution: A Partnership for Weight Loss which was published by Melbourne University Publishing in 2007. Most copies are given to patients without charge, but he reports that he derives a financial benefit from the copies that are sold. He also reports receiving compensation as the national medical director of the American Institute of Gastric Banding, a multicentre facility, based in Dallas, Texas, that treats obesity predominantly by gastric banding. No other authors reported disclosures.